A strong believer of co-working spaces taking over the world in the next decade and started ‘Kickstart’ in Lahore where many local and international startups work together to build a Pakistani tech community. Having completed his BS Economics from LUMS, Hassan Shahid was always motivated towards building his own business. He has always envisioned creating a joint workspace for freelancers and upcoming startups where they can not only help each other but also share their ideas on a common platform for their mutual benefit. From a budgetary point of view, it represents the most affordable option for newly-started companies that are not willing to spend much on their office requirements. In fact, Hassan has witnessed so many of these in-house startups developing business partnerships with one another to fulfill their needs at minimal cost. 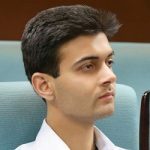 Hence, in a relatively unknown territory at that time, he opened one of the very first co-working spaces in Lahore by the name of ‘Kickstart’ (www.kickstart.pk) in February, 2016. As of now, ‘Kickstart’ is currently host to around 12 startups and 25 freelancers which amounts to more than 100 members. Based on their first experience and addressing the increasing needs of Lahore residents, ‘Kickstart’ opened another one of these co-working spaces in August 2016. In addition to this, ‘Kickstart’ has four international startups within its premises that have teams working from Singapore, New Zealand and USA. 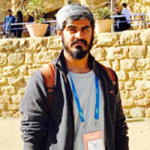 In the next couple of years, Hassan hopes to expand his vision by opening Kickstart’s offices in all the major cities of Pakistan with all major startups utilizing its services to transform their ambitions into realities. 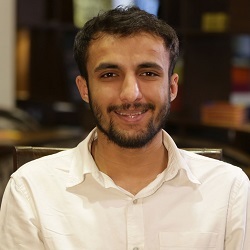 Besides managing Kickstart, Hassan is also engaged in working on ‘Edutative’ which is collaborating with 40 top universities in Pakistan to create a forum where students could easily look for solutions in their respective field of study and also take online tests for SAT, ECAT and MCAT which would help them prepare efficiently along with regular tracking of their progress.